Home Electric Vehicles EV Sales Tesla Motors due to surpass Porsche’s sales within a couple years? 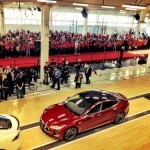 Tesla Motors due to surpass Porsche’s sales within a couple years? What will it take for the rest of the automobile industry to stop dismissing Tesla Motors as a boutique car manufacturer? That phrase was actually used by a Nissan sales representative at the Silicon Valley Driving Charged and Connected event two weeks ago. He was answering a question about whether Nissan would ever get into the business of selling cars directly to the public, which of course Nissan cannot do in the U.S. because of dealership laws. While answering the question he referred to certain boutique manufacturers of luxury electric cars, obliquely referring to Tesla without saying their name. The question is whether Tesla will always be marginalized like this, or will Tesla ever break out of this stereotype and become a large player in the automotive market? Tesla’s plans for the 3rd generation affordable mass market electric car, that will sell for $35,000 base MSRP at production volume over 200,000 per year would look like such a tipping point. But what if they hit that tipping point earlier? Say, by outselling one of the major historical leading car brands in the world. I’m talking about Porsche. That company just put out a press release saying they’d delivered (sold) 55,000 cars between Jan 1, 2014 and April 30, 2014. Annualized that’s 165,000 cars that Porsche expects to sell in 2014. In 2013, Tesla sold around 23,000 cars. In Q1 2014 they produced 7,535 cars and delivered 6,457 to customers. The distinction between Production and Delivery for Tesla is that the company is busily filling the delivery channel for customers in Europe and China, meaning deliveries are lagging production. The company hopes to shrink the delay between production and delivery, but let’s stay focused on Tesla’s sales. 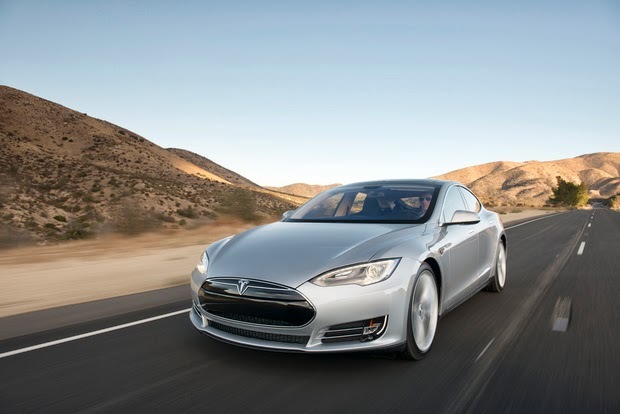 Selling 6,400 cars a quarter annualizes to a bit over 25,000 cars per year, but Tesla Motors is rapidly growing. Tesla’s goal for 2014 is, if I remember correctly, 35,000 total Model S sales for the year. Further, the goal is to be producing 1,000 vehicles per week by the end of 2014, per the “letter to shareholders” released yesterday. During 2014 Tesla’s production will remain solely the Model S. Producing 1,000 Model S’s a week is an annualized rate of 52,000 cars per year. That’s one-third of Porsche’s sales rate. That’s annualized production rate, not the sales during 2014. 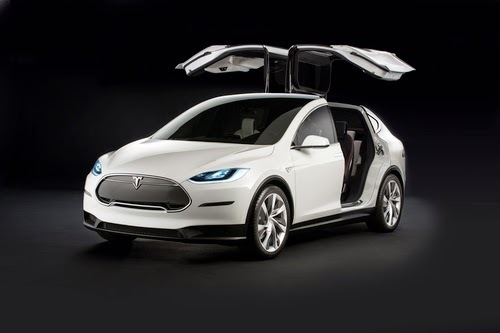 During 2015, Tesla plans to begin manufacturing the Tesla Model X. According to yesterday’s analyst call, Elon Musk admitted the Model X was being delayed, with start of production slipping from the end of 2014 to some time in the 2nd quarter of 2015. Further, he said the plan is to quickly ramp production on the Model X unlike the slow ramp-up that Tesla did with the Model S.
They didn’t offer a production volume projection for the end of 2015. To wildly pull a number out of thin air, I’m going to suggest Tesla’s annualized production rate will be 100,000 per year, at the end of 2015, between the Model S and Model X. That would be two-thirds of Porsche’s sales rate. That’s at the end of 2015, and the Gen 3 car isn’t planned for production until 2017. I suspect that with the Model X slipping, the Gen 3 car might then have its production date slip? 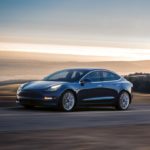 Even so, what we’re seeing is Tesla Motors quickly ramping up production and sales to reach into the territory of the traditional elite of production luxury cars. Will Tesla’s annual sales of the Model S and Model X reach 150,000 per year before the Gen 3 car starts production? Time will tell, but that breaks down to 25,000 per region per car. The regions are North America, Europe, and China (where Tesla is just beginning to sell the Model S). 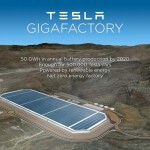 Tesla surely isn’t going to stop at those regions when and there are obvious additional regions for further expansion. What about India, or Australia, or the Middle East? Aren’t there plenty of people in each of those areas who want Tesla automobiles? Consider a spreadsheet I just threw together of sales volume adding up to 150,000 cars a year. That simply requires 25,000 sales of Model S and Model X for the current three regions. According to Musk, what’s holding back Tesla Motors sales is not demand for cars, but production capacity. It remains to be seen what the actual sustained demand for Tesla automobiles is, but suggestions made by Tesla’s management is they could easily exceed 25,000 Model S sales per year in each of their current three regions. Expanding sales to the other obvious regions named earlier, and I didn’t even mention Brazil or other parts of South America, easily adds up to total sales well above the amounts needed for 150,000 sales per year. Achieving this threshold looks to be within Tesla’s reach, and requires successfully upgrading production capacity to meet the demand for Tesla’s automobiles. As I asked earlier, what happens when Tesla Motors’ sales equals that of major traditional car makers like Porsche?